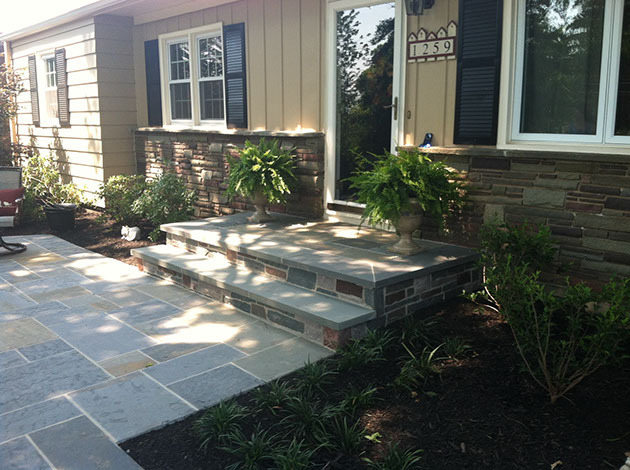 There is nothing nicer than a natural bluestone front entrance to welcome you home from work everyday. The colors of bluestone are just the best of any natural stone and when bluestone gets wet the colors really come out. This gives bluestone an added bonus of transforming into great colors on a rainy day or if they get wet watering the plants. 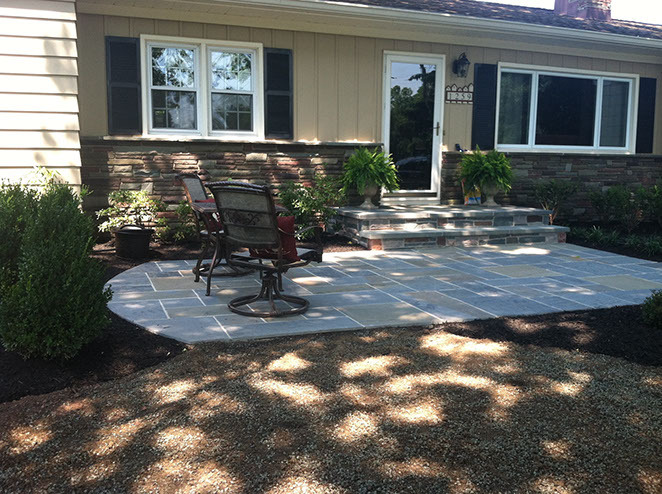 Bluestone is a very popular choice for most front entrances and looks great in any neighborhood. 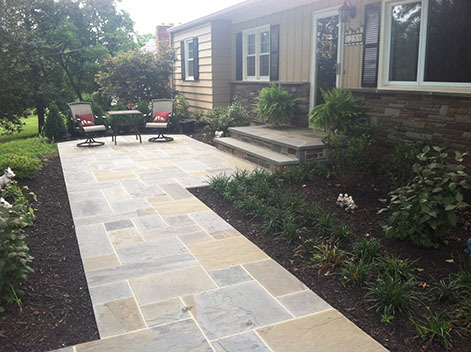 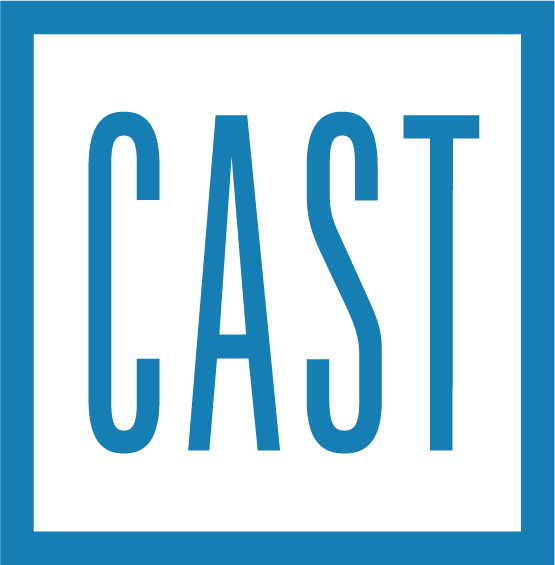 Bluestone nicely complements plant beds, sodded grass, and even sitting or retaining walls made of different stones. 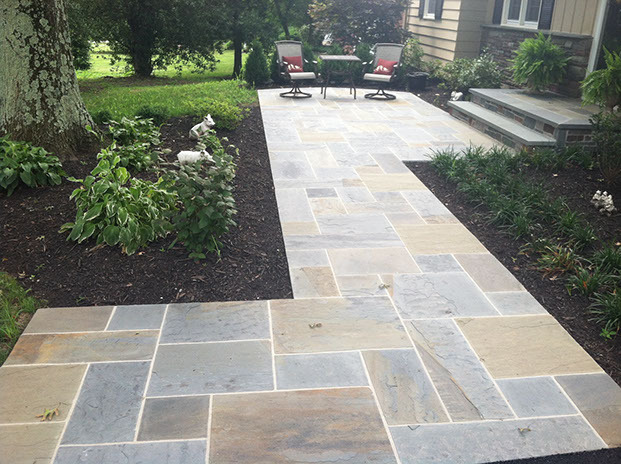 Overall this makes bluestone a versatile natural stone choice. This ranch style house has a very classy look with this new bluestone walkway and front porch. 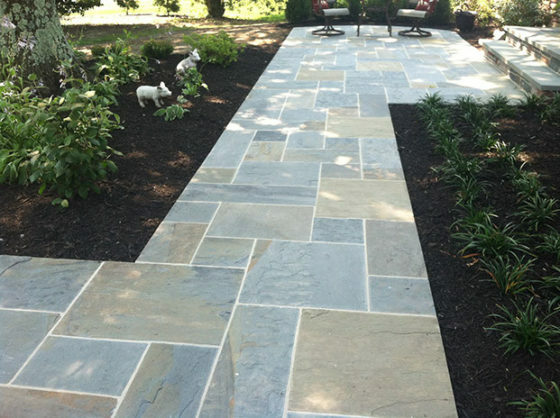 There is a beautiful contrast with the dark mulch and green plantings. 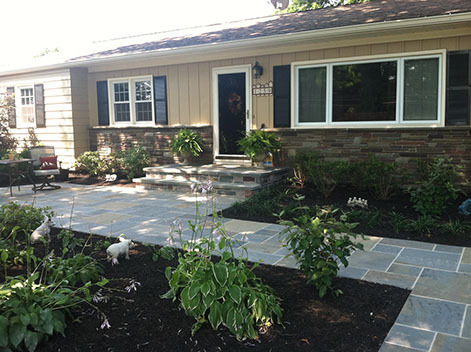 The stone veneers along the house complement the house siding and ties in the plantings and bluestone entrance all together for an overall look of sophistication and charm without overdoing it.